What makes a great beach? Ask 100 people and you will probably get 100 different answers. 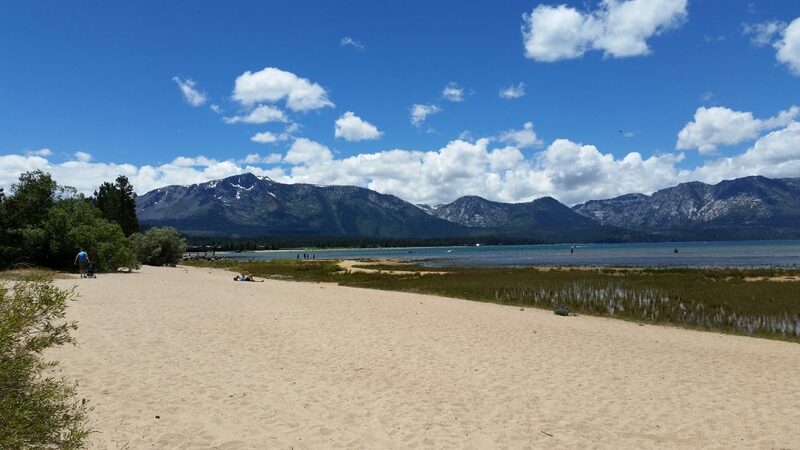 I am going to share with you the best South Lake Tahoe Beaches for many different reasons. You will discover beaches that provide entertainment and beaches that allow solitude; beaches with blanket side food & beverage service and beaches with only what nature provides; beaches that cater to singles, or to dogs or to families. Whatever amenities cause you to grab your beach towel and head for the lake, you will find them here. 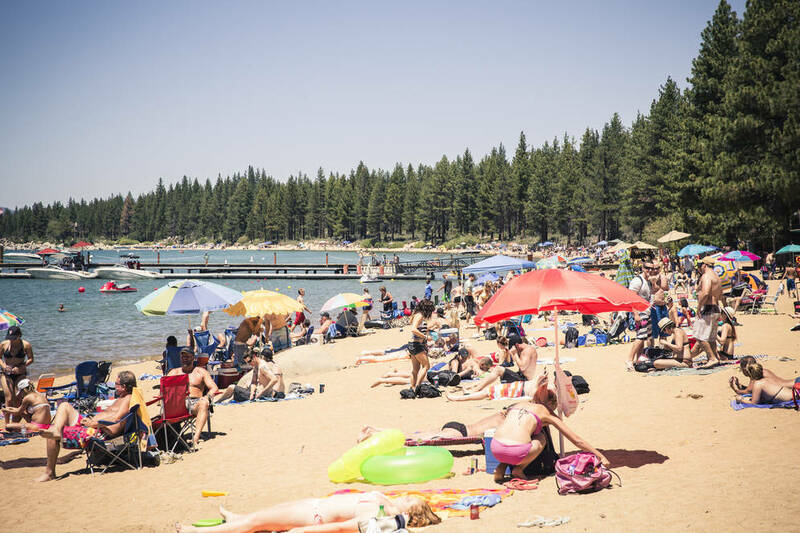 One thing all South Lake Tahoe beaches offer – unrestricted camaraderie with beautiful Lake Tahoe and the revival Lake Tahoe brings to body and soul. 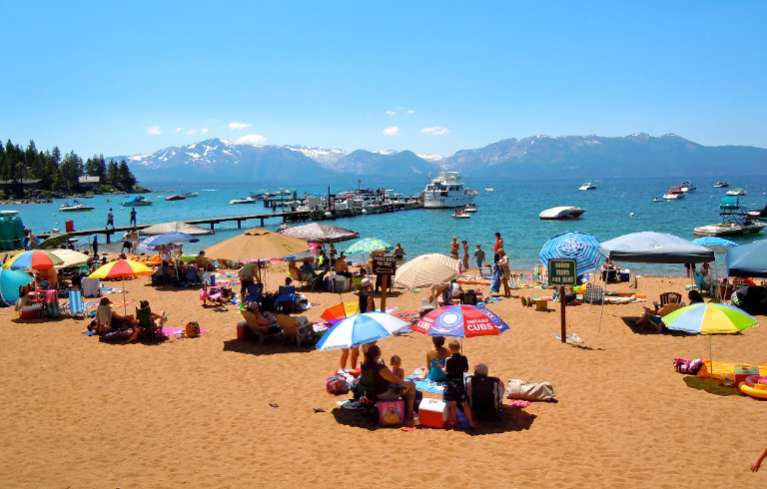 Listed below are some of my favorite South Lake Tahoe Beaches. If you like what you see, click on the photo for more information and pictures. When you are done visiting these beaches, please return to visit-lake-tahoe.net and provide a comment for your fellow Tahoe pilgrims. If you have a question, also please leave it in the comment box and I will get back to you as soon as possible. Baldwin beach is my favorite dog friendly beach in South Lake Tahoe. Baldwin beach provides a picnic area with tables and clean restrooms for visitors. Baldwin Beach is located on the south-west corner of the lake, in California. Camp Richardson is an expansive beach with live entertainment on weekend afternoons in the summer. The Beacon Bar & Grill (my favorite local restaurant) is located right on the beach for your dining pleasure. Camp Richardson Is located on Highway 89 on the south-west side of the lake. El Dorado Beach is the home of “Lakeview Live” summer music series every Thursday evening during the summer. http://visit-lake-tahoe.net/live-music El Dorado Beach is located in the center of South Lake Tahoe. Regan Beach is a neighborhood beach that offers a little of everything, but not too much of anything. Regan Beach is located about 10 blocks from El Dorado Beach, so it is a great choice when El Dorado Beach is too busy. 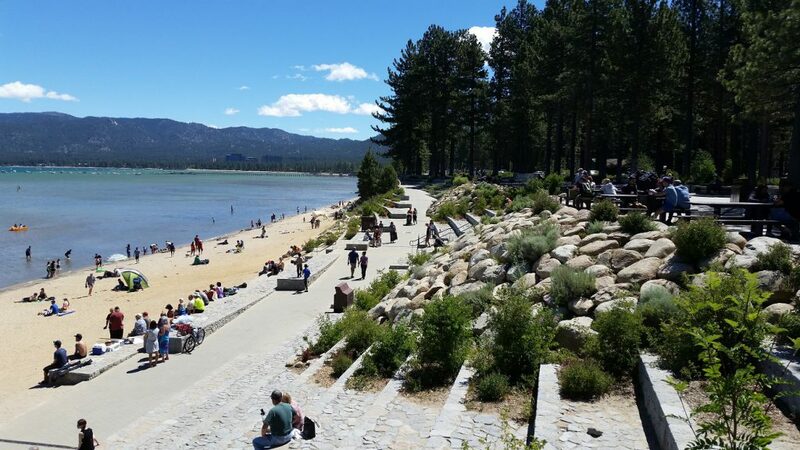 Nevada Beach has expansive beaches, the widest of all South Lake Tahoe beaches. The campground is located right on the beach tree-line. 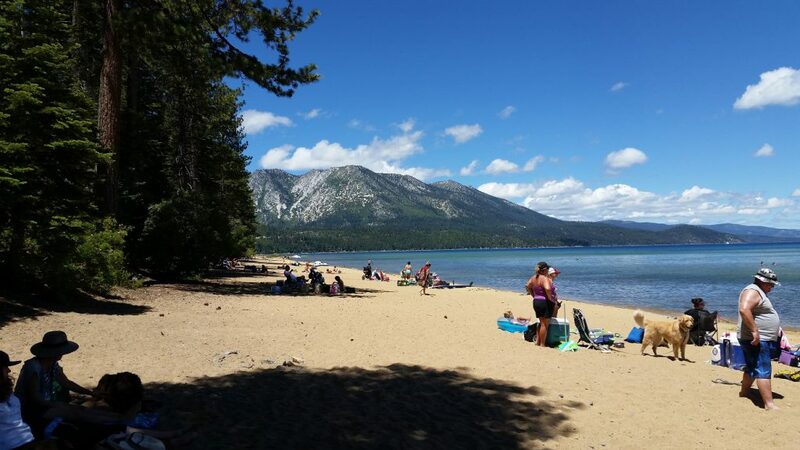 Nevada Beach is located near the Round Hill Pines approximately 1 1/2 miles from the state line in Nevada. 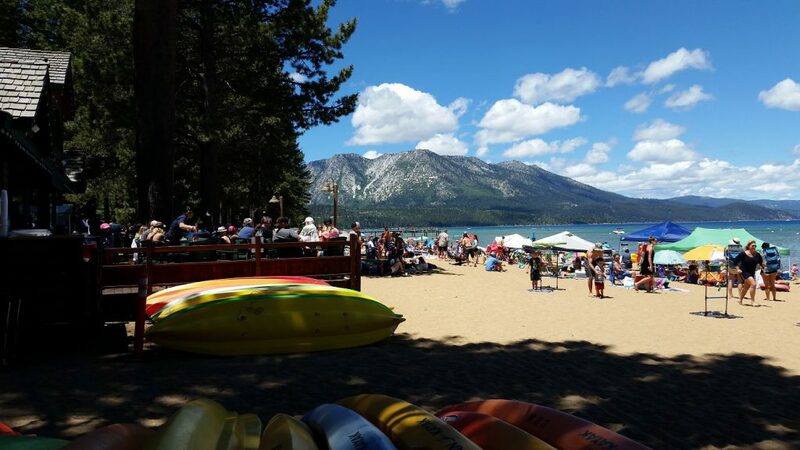 Round Hills Pines Beach Resort is my favorite of all South Lake Tahoe beaches. This is where you will find my family (and many other locals) on a warm afternoon. 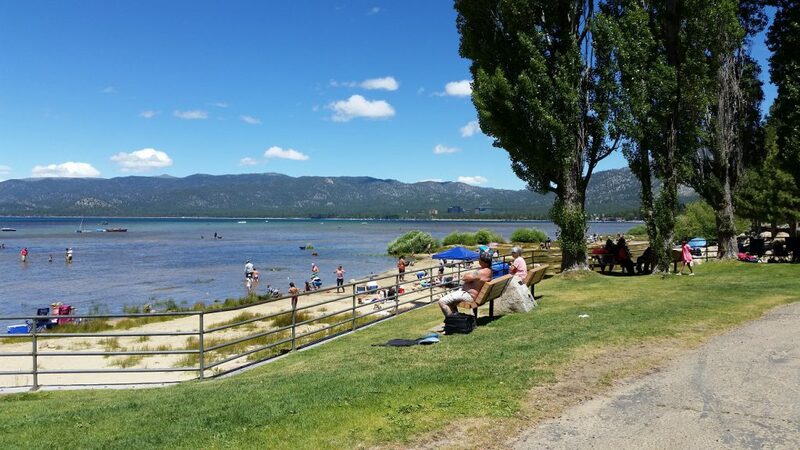 Round Hill Pines is the best kept secret of South Lake Tahoe beaches. Round Hill Pines is on the south – east side of the lake, near the state line in Nevada. Zephyr Cove Resort is a historic resort on the lake side of Highway 50 in Zephyr Cove, about 3 miles from the state line in Nevada. 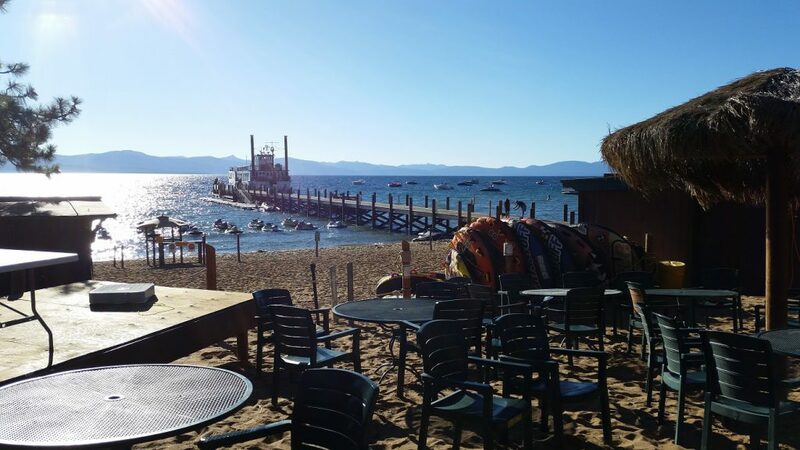 Zephyr Cove has a beach area, volleyball courts, a bar & grill on the beach, shaved ice, Tahoe Queen cruises, Sea-Doo rentals and much, much, more. Cove East is a hidden cove and a California Conservancy restoration project area with habitats galore. There is ample room to spread out and enjoy time with your friends and family. Cove East at the south-east end of the lake in California. Wendy, I would love to visit Lake Tahoe as your photos make it look so inviting. Our family was going to holiday there many years ago. But my dad got a work transfer and we had to use up his holidays in moving. So no Lake Tahoe visit. I like the fact that you have beaches there where you can get away from the crowds. Having lived in Sydney, my experiences with beaches is ‘one heck of a lot of people’. Take a look at Bondi in the summer. You can hardly move! If, no when, I get a chance to again visit my sisters and brother in Canada and the States, I will certainly visit your site and see if I can include a visit to your neck of the woods (urr beaches! ).